This is a beautiful and powerful mug that represents how we think at theParentVoice,. 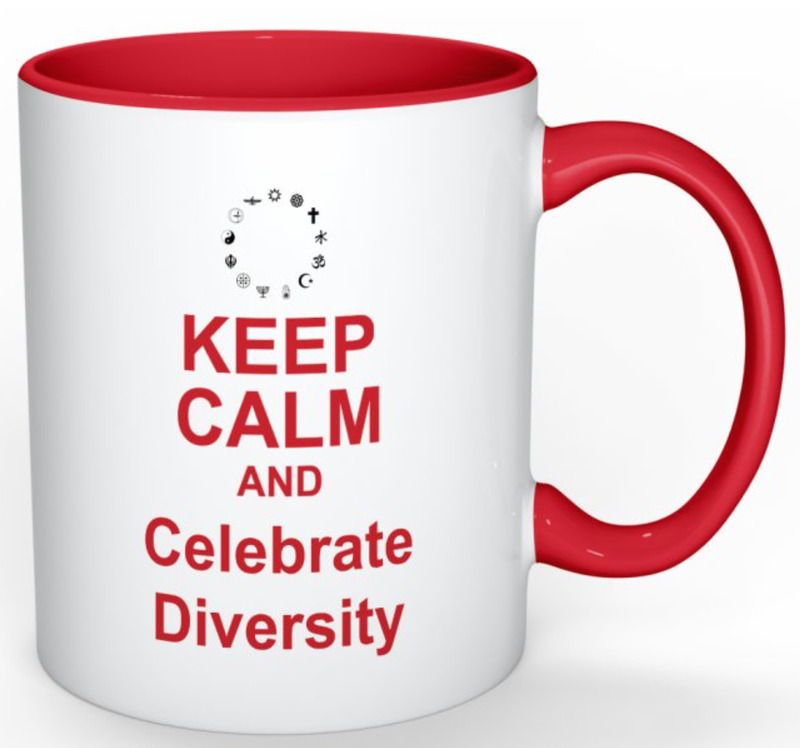 On one side of the mug, the words, "Keep Calm and Celebrate Diversity" proudly declare your intentions. 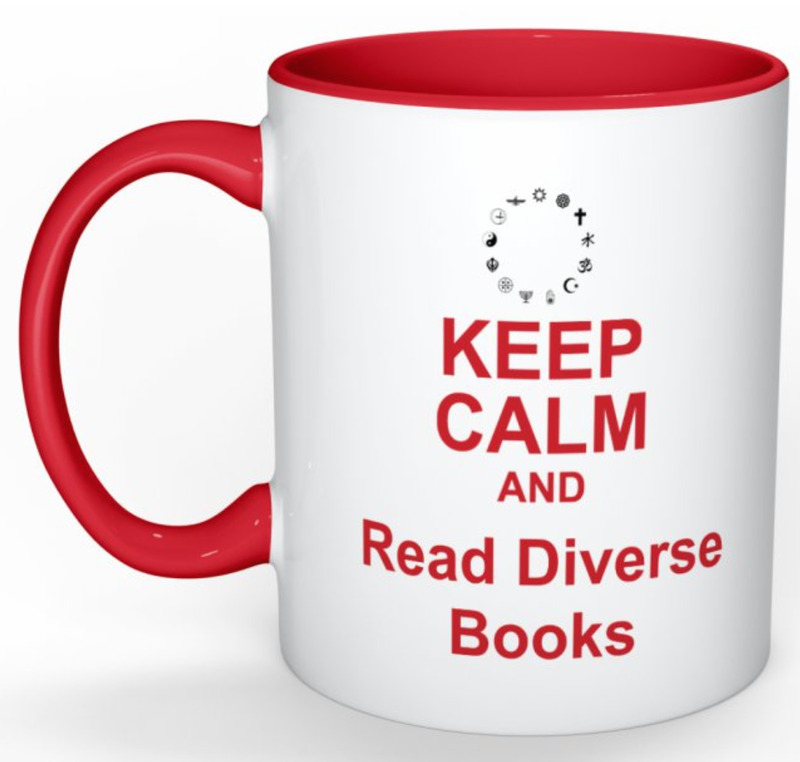 The other side motivates you to, "Keep Calm and Read Diverse Books". Both messages are arranged underneath a circle of secular symbols. Whether you are left-handed or right, you can be proud of carrying in your hand, a message in which you believe.